There are many benefits to seamless underwearar such as they score high on the comfort scale due to the use of fine fabric and high elastic, they do not show from the outside due to the seamless design and they fit the body well and give tight support to assist you in your workout. 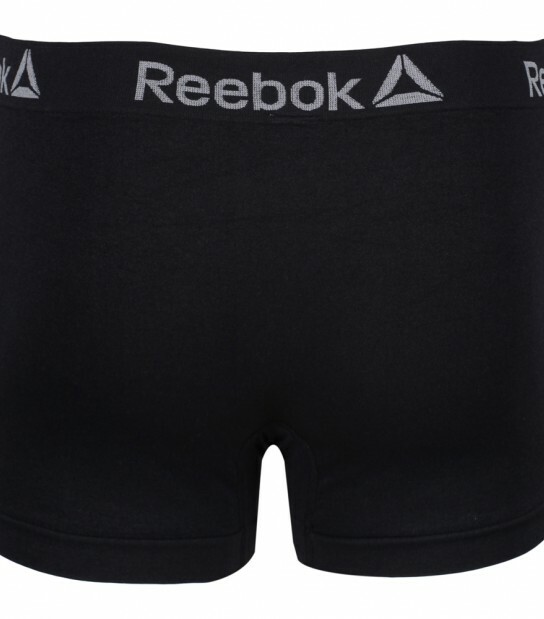 The Dale seamless trunks from Reebok arrive in a handy 2 pack set including Two Plain Colour pairs of trunks each with contrasting accent seams finished with Reebok branding on the waistband and have been crafted from a polyamide/elastane/polyester fabric that ensures you feel comfortable during your workout. Three colour sets available in the Dale range: Black, Black/Dark Grey Marl, Collegiate Navy/Crushed Cobalt.